Our website receives a lot of inquiries via email and our social networking pages about when a new Friday The 13th sequel will be filmed. There are instances where certain websites and Forums will post information that hints at a new sequel going into development for which we can say with certainty is not true. 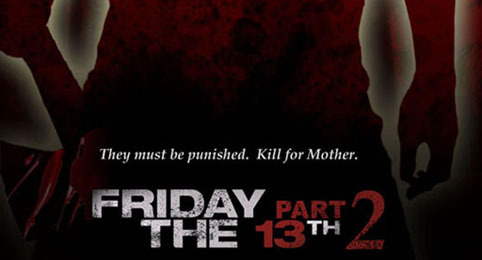 Warner Bros. still HAS NOT greenlit the proposed sequel to Platinum Dunes Friday The 13th film from 2009. Here are some examples of websites listing a sequel prematurely. Boxofficemojo.com still has Friday the 13th Part 2 in 3D as a listing on their website. That listing has in fact been on that page since Platinum Dunes Producer Brad Fuller announced on his Twitter account back in 2009 that a sequel was on the move. Of course, Warner Bros. was not let in on that secret. Other websites had similar listings of Friday the 13th Part 2, such as Imdb.com, which have since removed the movie listing from their website. Another interesting find back in November 2009 was that the major Theater chain Regal Entertainment had already listed the sequel for release on August 13th, 2010. Of course that never happened and the listing was removed from that company's website a month or so later. Everyone should exercise caution when hitting websites, as some may not be current in information or simply may have forgotten to take things down. Coming soon pages for films that aren't even greenlit should most definitely be removed, until there is official word that the movie is moving forward into production. At any rate, we just wanted to let everyone know that nothing new has changed with the proposed sequel by Platinum Dunes and Warner Bros. and that we will most certainly let everyone know when the word comes down that we can gear up for Mr. Voorhees once again. We all want Friday the 13th back on the big screen!